Is Reliance Pharma Fund Worth Your Capital? Being an open-ended sectoral scheme, the fund seeks to generate consistent long-term returns, by investing in equity and equity-related securities or fixed income securities of pharma companies. The AUM of the fund is Rs 2,144 Cr as on Jun 30, 2018, with an expense ratio of 2.10% as on May 31, 2018. The average capital of the fund is Rs 27,208.62 Cr, which is invested 11.29% in the giant companies, 45.88% in large-cap companies, 32.83% in mid-cap companies, and 10.00% in small-cap companies. The assets of Reliance Pharma Fund Growth are allocated 98.24% in the equity, equity-related securities and the rest 1.69% in the debt and money-market securities. The top companies where the fund is investing are Sun Pharmaceutical Ind., Cipla, Dr Reddy's Lab, Divi's Laboratories, and Aurobindo Pharma. The fund is following the S&P BSE Healthcare (TRI) as its benchmark to compete for its returns. As per the financial analysts of MySIPonline, the alpha generated by Reliance Pharma Fund G in the past three years is 6.57%, as provided on June 30, 2018. The trailing returns provided by the fund in the past three, five and seven years were 2.34%, 14.92%, and 13.65%, respectively. It has beaten its benchmark and category all these years to provide high returns to investors. The annualised returns of the fund for the year 2015 were 19.35%, -10.58% in 2016; however, it has incurred less losses than its benchmark and category, and made 7.61% returns in 2017, when the benchmark was in negative. 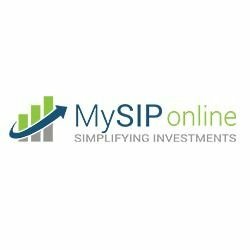 As per the financial analysts of MySIPonline, the fund has potential to provide capital growth in the long run, as it has offered the returns of 20.91% since its launch, i.e., from the year 2004. Mr Sailesh Raj Bhan has managed the fund since its launch. He is the Deputy CIO of the Reliance Mutual Fund. He has 19 years of experience in the fund management and equity research. He mainly focuses on the companies who have a domestic and international business and companies which offer Contract research and manufacturing services (CRMS). It invests in the companies with a blend of the value and growth investment approach. With an investment horizon of 3 to 5 years, investors can invest in it. The NAV of Reliance Pharma Fund G is Rs 145.5651 as on July 10, 2018. The main objective of the fund is to create a wealth of investors, who have the appetite of tolerating the high-risk as the pharma sector is highly volatile due to US Fed approvals are not provided to the companies. The fund takes the investments via SIP and lumpsum mode. The minimum amount of investment the fund takes is of Rs 5,000. So, if you want to invest in the fund, connect with our experts through call or email.